Description: Here’s a compact design ideal for extremely cold climates. The basic concept comes from the Siberian Chum (tent). There are two chum roofs or conical shaped roofs made of poles with insulation between. Virtually all materials are made from small diameter wood poles, which are often abundant in northern forests – roof poles, bond beam, lintels, loft joists, wood shakes and woodchip insulation. Tilt-down stairs lead to a sleeping loft. Only a very small wood stove is needed for heating. 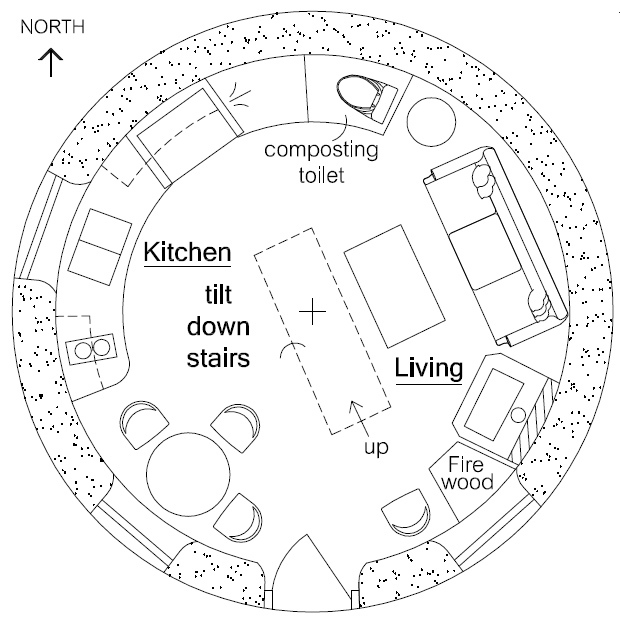 It would be quite easy to build debt-free by gradually adding extra roundhouses as time and resources allow. 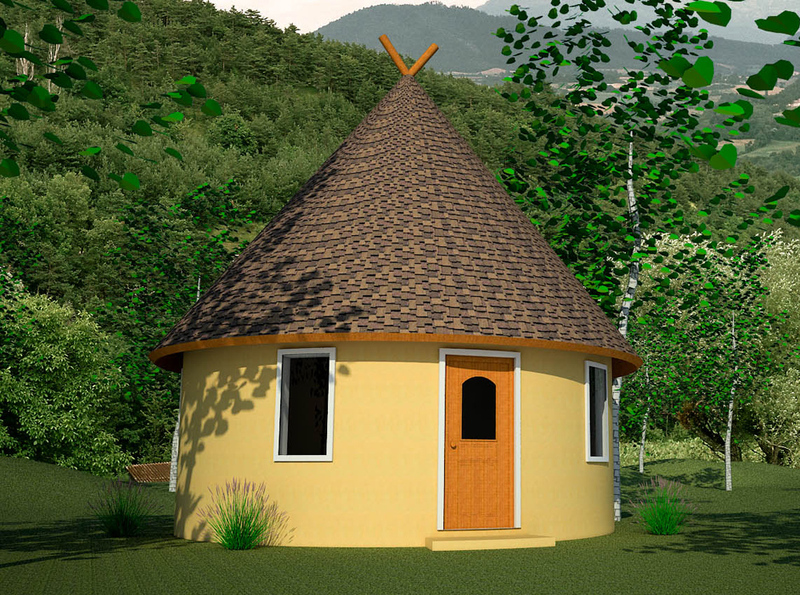 A small cluster of these roundhouses would be real cozy.